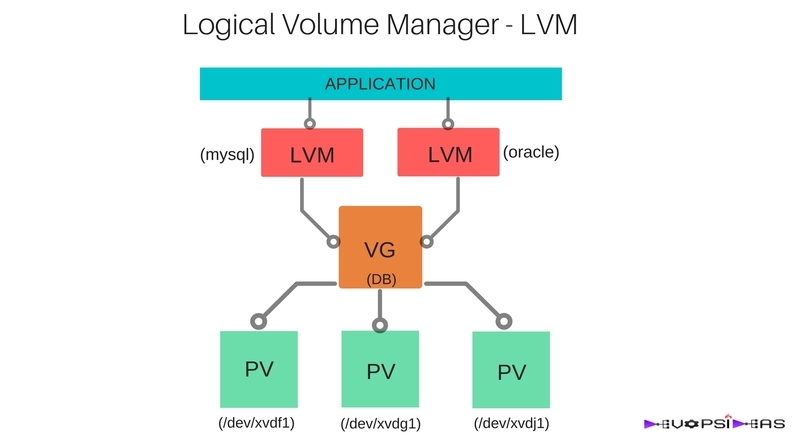 The Logical Volume Manager also know as LVM, provides a great amount of flexibility for applications that require expanding disk space. LVM work by creating a virtual layer of storage on top of physical devices. The OS operates against the LVM disk as if it was a regular disk. However the advantages allow us to expand the disk without having to reformat the file system or create new partitions. Consider that your application is using database that runs on an EC2 instance. The data is stored in EBS volumes. You application has become very popular and grows widely in turn increasing the size of your database on daily basis. You are in a situation where you need to frequently increase the size of your disk space where the data gets stored. 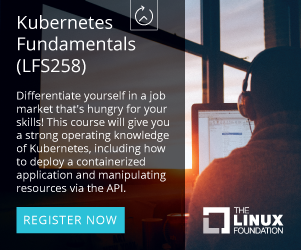 This should be done seamlessly without affecting your application at run time. This can be achieved easily by leveraging on Logical Volume Managers (LVMs), which provide the option to easily increase the size of their volume by adding more EBS volumes. With multiple EBS volumes, network performance is increased between EC2 instances and EBS volumes. LVMs create an abstraction layer on top of underlying disk layouts and allows sysadmins to create virtual partitions over physical volumes. You can have multiple virtual partitions on a physical volume or a single virtual partition over multiple physical volumes. LVMs provide the ability to dynamically expand and shrink virtual partitions and make additions to physical volumes on the fly for existing LVMs. Lets get our hands dirty and practically see how we can achieve this. In this article we will see how to expand the disk space of the mount /var/lib/mysql where our DB gets stored. We will start by creating physical volume, volume groups and then the Logical Volume. Upon completion, we will then learn how to expand or “extend” the logical volume by attaching a new device to the volume group. We will be working on EC2 instance and EBS volume for this example. Launch an EC2 instance and attach 3 additional EBS volume (disks) to that instance. In this example, the additional EBS volumes apart from ‘/’ are given the following device names. storage on a file system if we were not using LVM. Lets us first create partition on the first two devices ( /dev/xvdf and /dev/xvdg). We will be using gdisk command for partitioning the device. OK; writing new GUID partition table (GPT) to /dev/xvdf. As you can see, I have created just a single partition for the entire device for this example. You can create multiple partitions based upon your requirement. order to use a physical volume, the physical volume must be initialized as a physical volume (PV). Now that our disks have been created correctly, we need to prepare them for use by LVM. 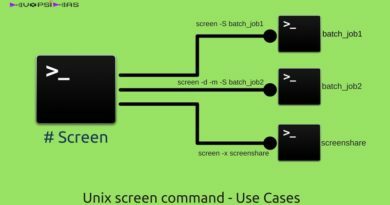 We will use pvcreate and pvdisplay command to achieve this. Run the below command to create the physical volume. "/dev/xvdg1" is a new physical volume of "20.00 GiB"
"/dev/xvdf1" is a new physical volume of "20.00 GiB"
As you can see, the two physical volumes that we created are listed in the pvdisplay command. Each device has a total physical volume size of 20 GiB. an old physical storage to a new physical storage device without interrupting our file system. We have named our volume group as DB. We have added the two physical volumes that we created in the earlier step as part of this volume group. Run the below commands to view the details on volume group in that particular system. As you can see from the output that we get a total Volume Group size of ~40 GiB and PE (Physical Extent) Size of 4.00 MiB. An Extent is the smallest unit of space that can be assigned to a volume group. Volume group extents are referred to as physical extents and a logical volume is allocated into sets of logical extents that are the same size as the physical extents. Thus the logical volume extents map to the physical volume extents and that is how a logical volume communicates with the physical volume data. which again maps to the physical volume. We will use lvcreate command to create the Logical Volume. lvcreate command has several flags associated with it. ­-L size of the volume in bytes i.e 1M 1G 20G 1M etc. 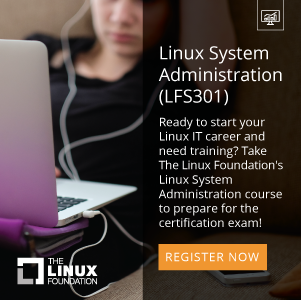 Run the below command to create file system on the LVM that we created and mount it to /var/lib/mysql directory which is where our database gets stored in our example. Since our application became so popular, the current space allocated for DB is not enough. We got a request to increase the the disk space by another 30GB. Resize the filesystem for the new size to take effect. We already have a device /dev/xvdj, which we haven’t used yet. We will use this device to extend the size of our Logical Volume and in turn the filesystem size. Repeat the same procedure for preparing the device, creating a Physical Volume as seen above. Once creating the PV for /dev/xvdj1, we need to add it to Volume Group (DB). We will use vgextend command to achieve this. We can see that the DB Volume Group size is now increased to ~60GB. Present size of our Logical Volume “mysql” is 20 GB. We got a request to increase another 30GB to our mysql file system. We have enough space in our Volume Group now to allocate 30GB to mysql LVM. We can do this by running lvextend command. Size of logical volume DB/mysql changed from 20.00 GiB (5120 extents) to 50.00 GiB (12800 extents). Logical volume mysql successfully resized. Now we have everything in place and we should resize our filesystem for the changes to take effect. The filesystem on /dev/mapper/DB-mysql is now 13107200 blocks long. Lets verify whether the File sytem size got increased by running the df command. We can see that the size of our mysql File System is 50GB. We were able to increase the size from 20 to 50GB on the fly without any downtime. Lets say, we are running Orable DB in the same server and we would like to manage it as part of LVM, we can follow the same steps that we saw above. To summarize, we have seen how to create Physical Volume, Volume Group and Logical Volume Manager. We also saw how to increase the disk space without any downtime using LVM. That’s it for this article. Hope this will be of help to someone! !